If you are a recipient of Social Security benefits, such as Social Security Disability Insurance (SSDI) or Supplemental Security Income (SSI), news that you might be eligible to get more money would likely be welcomed. After all, the amount of money that the average recipient receives each month (while helpful) is not a whole lot of money. So, if you were to receive a phone call from somebody working for the SSA, you may not hesitate to answer any questions, if it were a means to a greater financial end. Please be advised that if you receive a call from someone claiming to be a Social Security employee, it may be a fraudulent scam. Someone attempting to phish information out of you, such as your social security number (SSN). Social Security’s Office of the Inspector General, Gale Stallworth Stone, has issued two scam alerts for SSA benefits recipients. Understand the threats. Be wary of scammers who may impersonate government officials or seek advance payment for services. Exercise caution. In general, no government agency or reputable company will solicit your personal information over the phone or by email, or request an advance fee. Secure your information. 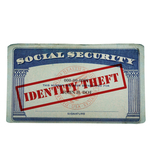 Store your Social Security number in a safe location — don’t carry it with you. Shred documents that include your personal information. If you live in the Orange County area of California and you believe you might have responded to a scam call regarding your Social Security information, please take the time to contact Attorney Stephanie Merritt Driscoll of Driscoll Law Corporation. We may be able to assist you in reaching out to the appropriate Social Security Administration department to alert the SSA of a possible scam.